A Truly Grand and Awe-inspiring Mass of Thanksgiving. 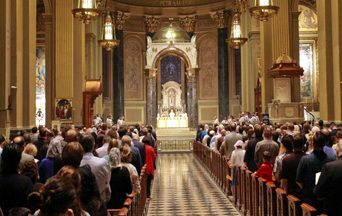 In honor of the Assumption of the Blessed Virgin Mary, on August 15, a Solemn High Mass was celebrated at the Cathedral Basilica of Saints Peter and Paul in the heart of Philadelphia, Penn. Fr. Robert Pasley of Mater Ecclesiae of Berlin, New Jersey, celebrated the 17th Annual Mass of Thanksgiving while a professional choir and orchestra performed Shubert’s Mass No. 3 in B-flat Major. The cathedral was full. Members of the American Society for the Defense of Tradition, Family and Property (TFP) joined the procession bearing a papal banner and two TFP standards. The grandeur of the Mass was truly expressed through the beauty of the liturgy, the dignity of the vestments of the clergy, the awe-inspiring magnificence of the music, and the sweet and uplifting aroma of the incense being offered to God. 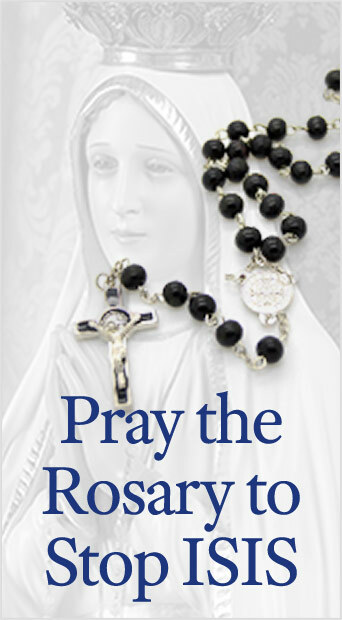 This entry was posted in Events of 2017 and tagged Assumption of the Blessed Virgin Mary, grandeur, Mass of the Assumption, Solemn High Mass, TFP, Thanksgiving, Tradition, traditional Catholic by William Gossett. Bookmark the permalink.